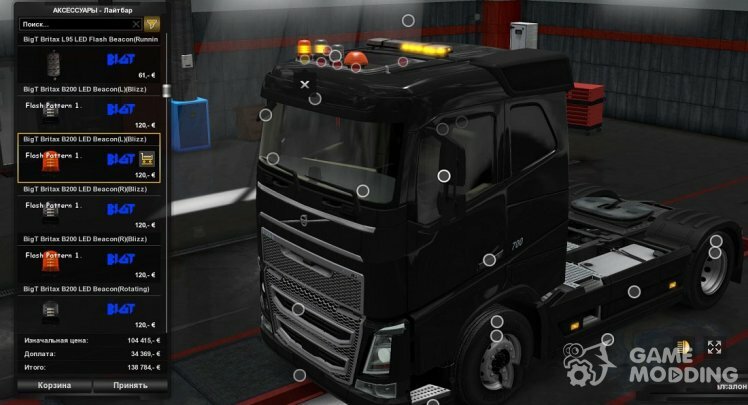 Mod adds in simulator additional lighting equipment, namely, a whole set of new led lights Britax. 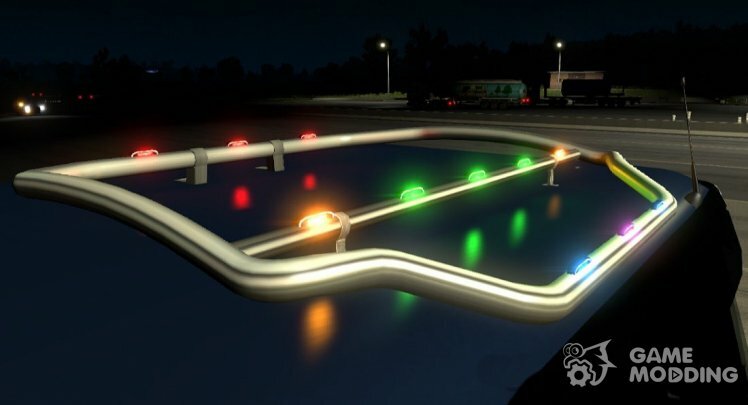 New lights can be installed in the designated slots (roof, grille, connectors) on any standard truck from ETS 2, in addition to standard equipment there is also support for multiple mods. Just realized the 87 types of beacons with different form and mode of operation. 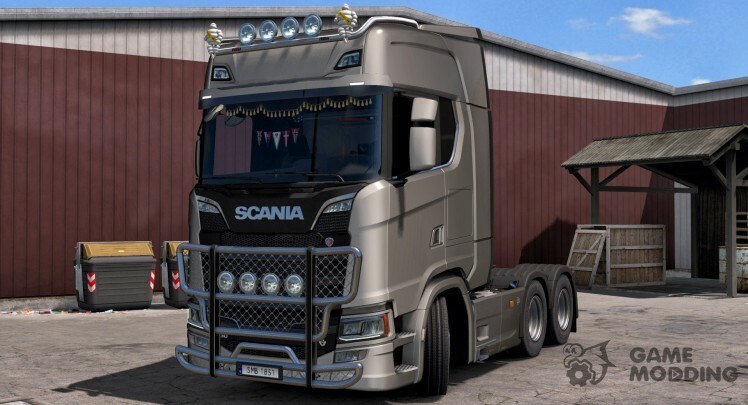 The modification adds in simulator ETS 2 new led lights of different colors that can beautify any equipment. 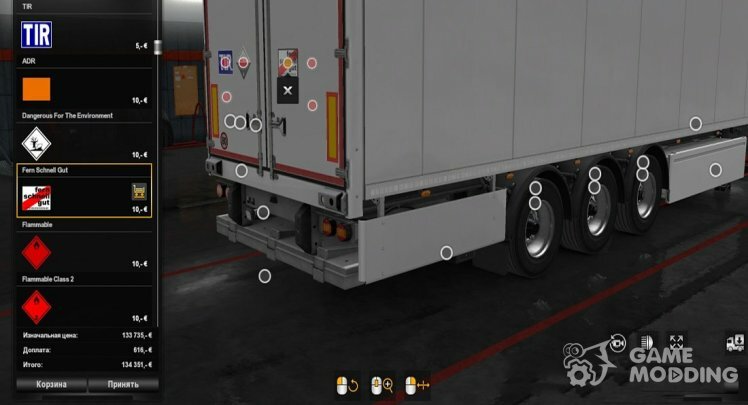 New lighting installed in additional slots marked in red, such slots are usually present on the connectors, pipes and skirts. 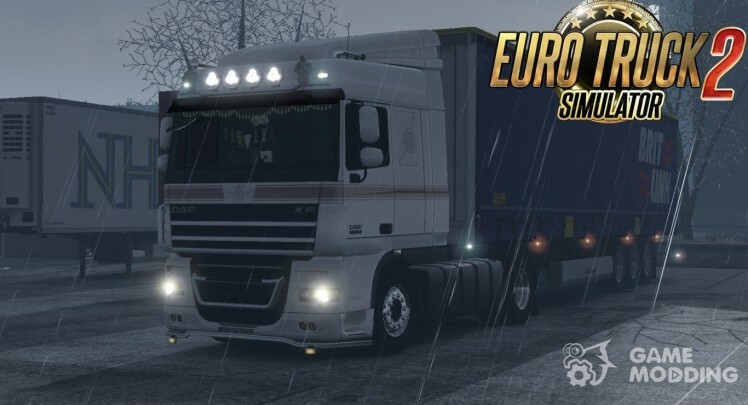 Test versions 1.30, 1.31, 1.32, 1.33.0.63 s.
This MOD will activate tuning parts for Scania S-R NextGen. Game version: 1.30 x video. Test: 1.27 1.28-versions of games. 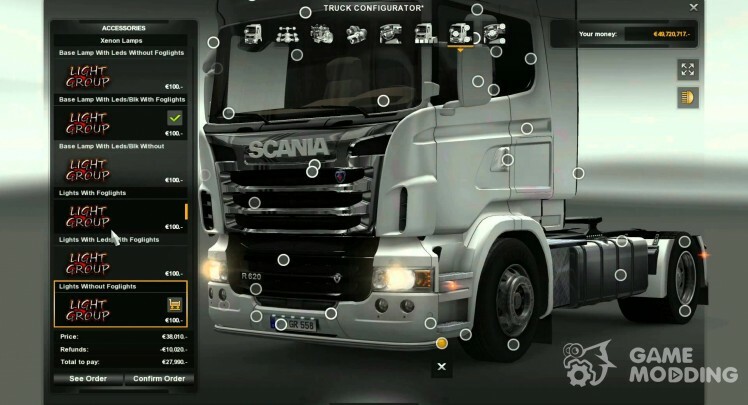 This huge pack of tuning in single file, if you're a fan of tuning, I advise you to download this mod. There is a bonus is an exclusive kengurâtnik in the style of V8K Blaine. 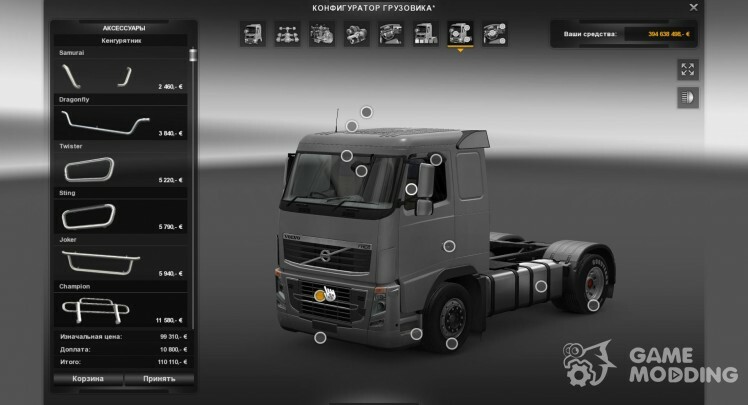 With our proprietary mods installer you just apply the mod profile. Enjoyable game! 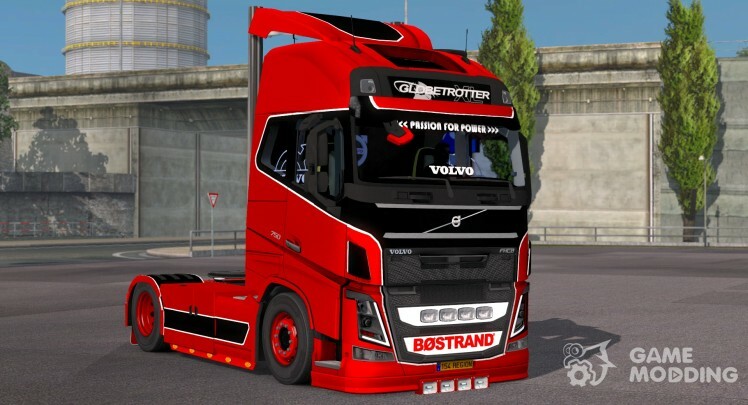 Scania MultiMod by ZilpZalp, dustyX89, Czachaa. 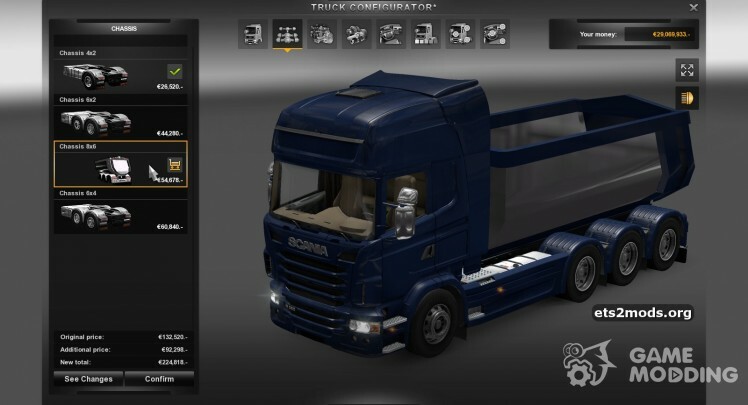 To Streamline and Scania Scania R.
The mod with a rich set of tuning parts and accessories! Probably will work with all there. (The version I s 1.8.2.5-at least worked with all there). 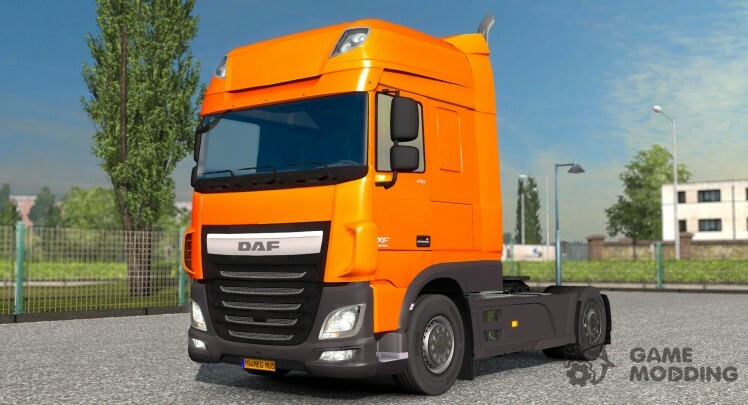 MOD adds lots of tuning parts in the shop. You can change your truck beyond recognition.